No confirmation yet from the IDF and no news agency is reporting this so far. 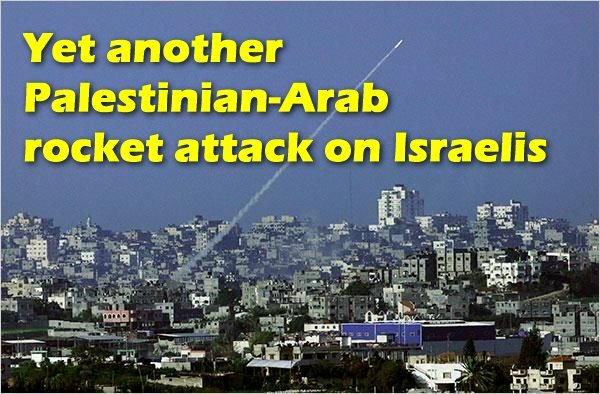 According to the Hatzala-Yesha Hebrew-language site, in the past hour yet another Gazan Qassam rocket was fired off in the customary indiscriminate manner in the general direction of the Jews and the Israelis on the far side of the fence. This time, as many times in the past, the rocket fell short. It crashed into or just near the border fence in the Sha'ar Hanegev region, near one of the kibbutzim in the area. The remains were discovered when a search was set up following a loud explosion. The Color Red (Hebrew: Tzeva Adom) incoming rocket warning siren was not heard in the area.